Did you just read an awesome indie book? Are you looking for ways to help the author out? While (perhaps obviously), I’m targeting this to my own fans, these strategies are general enough for any indie author. I’d expect the actual dollar values should be consistent for most indie authors as well. Of course, the first and best way is to buy a copy of the author’s book.Â However, where you buy it is as important as your actual purchase. Since I published through CreateSpace, I earn the most when people buy direct from them (about $4.50 per book from my $10.95 book).Â Amazon falls in at a respectable $2.94.Â However, when someone buys a copy from Barnes and Noble, I earn only $0.25 per book. Buying the book as a gift is an excellent way to thank an author. That’s part of the reason I offer signed copies through my site (check the right-hand panel)–it’s an opportunity for fans to purchase a unique gift for themselves or their friends.Â Since I include a free ebook with autographed paperbacks purchased through my site, you can buy a paperback as a gift and keep the ebook for yourself. Giving the book as a gift offers you the opportunity to talk with others about the book, which helps get the word out for an indie author. As an indie author, Smashwords gives me the best return: about $2.21 per book.Â Amazon is second, at about $2.03 a book, and Barnes and Noble gives me $1.94 per book.Â Besides offering the best return, Smashwords also lets me run coupons as needed.Â If I want to give a free copy to a book reviewer, all I have to do is generate a code and pass it along. Think about the last book you bought.Â Why did you buy it? Chances are pretty good that it’s because a friend recommended it. Word of mouth advertising is awesome.Â If you can’t stop raving about the plot twists in The Caldarian Conflict, (as a completely random and unbiased example), people take notice. If you’re part of a book group, suggest that the group read a book by the indie author.Â Note: only do this if you’d give the book a 4- or 5-star review.Â And make sure the book is free of typos.Â When the average reader spots typo after typo, the book probably wasn’t ready to be released. Did I just mention reviews? When reviewing, do explain what you liked and who might be most likely to enjoy the book.Â Try to avoid spoilers where possible.Â Post it everywhere the book is sold, and especially on reader communities like Goodreads or LibraryThing. Once you’ve written a review, tell people on Facebook and Twitter about the book.Â When they know you wrote the review, your friends or followers are more likely to at least look at the book to see whether it’s a good match. While we’re talking about Facebook and Twitter, definitely become a fan of the author and follow their tweets.Â When you see something interesting from the author, pass it along to your friends so the author can grow followers and potentially connect with other readers. Tagging is a method of adding keywords to a book so that it shows up in search results.Â The more people that agree with a particular tag, the higher the placement of the book in the search results. Tags can usually be found on a product’s Amazon page.Â Other sites use tagging sometimes, but Amazon is the most widely used.Â Simply search for “tag” on the page, and you should find it. 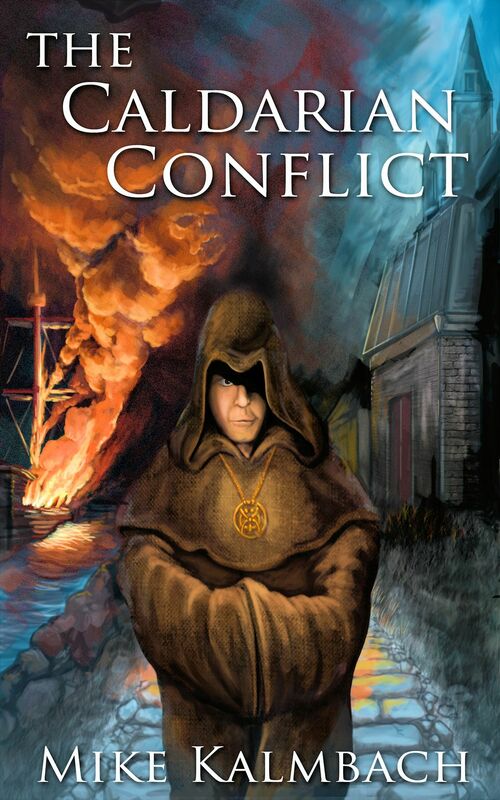 If there’s nothing there, add tags related to the book.Â For example, some of the tags currently used for The Caldarian Conflict include pirates, monks, and corrupt government. If you have read the book, select the check box for those you agree with.Â If you happen to think of others that aren’t listed, definitely add them.Â The author will certainly appreciate it when others find (and hopefully purchase) their book. If you’ve already read my book, please go to the Amazon page and help me out with a review and adding some tags.Â I’d really appreciate it. What other ways can you think of to help an indie author out?Â What did I miss? This month, I’ve taken over the Rochester Writing Group from Helen Chen.Â Helen’s focused leadership has helped dozens (if not hundreds) of writers succeed in life and business, and I hope to continue in her tradition. I’ve created a new area that discusses the Rochester Writing Group, and will be maintaining the area to ensure all information is current.Â It’s exciting to have the opportunity to directly impact so many writers’ lives. Instead, writers should look at each critical remark, decide if the suggestion or criticism has merit, then decide whether the work should change.Â It’s okay to recognize a remark as valid, but then not make a change. This has come up at all of the meetings so far.Â It’s one of my favorite tidbits of advice, so I thought I’d pass it out into the void. Today, IBM hosted a “Take Our Children to Work” day.Â (All that follows is my own opinion, and does not reflect IBM’s opinions — a necessary disclaimer).Â As I have for the past several years, I talked with dozens of students about where robotics is, what’s coming next (just around the corner), and how they might prepare themselves for a future that’s unpredictable. After all, as I pointed out to the students, technology changes our lives unbelievably quickly.Â Twenty years ago, home computers were still rare.Â Fifteen years ago, the Internet barely existed.Â Ten years ago, cell phones were expensive (not unheard-of, but rare).Â Five years ago, YouTube had just been launched. And yet, today, all of these things are virtually impossible for us to remove from our lives. It’s beyond amazing.Â How fast things change. The sessions were more than successful — I received dozens of compliments about how much improved the presentation was over previous years.Â Funnily enough, I get the same message every year, but the number of comments was much more than previous years.Â I also received spontaneous applause, which is actually fairly rare for seminars like these.Â As you can likely tell, I was pleased. “Well, I only have an hour.Â I have a feeling I’d need more time for that.” I said, smiling. The last couple of weeks have been busy, so I haven’t been posting as often as I’d like.Â However, yesterday’s events were just too awesome not to immediately record. A few months ago, Audrey Tensen, a long-time friend of mine, contacted me and told me the Girl Scout troop she helped lead was going to be coming to Minnesota.Â SheÂ asked if I would be willing to talk with the young ladies in the group to help them understand what engineering was and to show them what was possible for people from a small town like Ravenna. We started out the day bright and early (well, actually, rainy and early), with the girls arriving at IBM around 9am.Â I unfortunately didn’t take any pictures in the morning, but hopefully I’ll be able to get some and insert them here later. After a quick introduction, I led them through the “magic” of engineering.Â I compared being an engineer to movies like Twilight, Star Wars, Harry Potter, and Lord of the Rings.Â I think that one of the reasons we find these movies so fascinating is that the characters in these stories see things that we can’t see in the “real world”.Â Like these characters, engineers go through life seeing things that other people don’t. Most people, when looking at a building, for example, see a beautiful structure. An engineer sees the men who designed the building to hold its own weight, those who laid the foundation, and the men who painstakingly lifted every beam or placed every brick.Â An engineer also notices the small details, like the way a floor is designed to keep people safe or how an instrument works. Engineers are different. The best engineers combine skill with creativity to come up with new, interesting solutions.Â We see the world in fresh new ways–not just in how it is, or how something was built, but also in new possibilities. Once I finished my message about how engineers are different, I started describing robots and the engineering that goes into them.Â I introduced the instantly recognizable Tickle-Me-Elmo, which was a delight for both the leaders and the Girl Scouts. As an aside, it’s also a delight for me to show something that brings joy to others. several touch sensors – each of which tells the embedded computer whether Elmo is being tickled. We also talked about the way his materials were engineered — soft furry coat, making sure that he can stand up to rough handling, a nose that would be hard to bite off, eyes too big to fit in a child’s mouth, etc.Â Every detail was carefully designed to make Elmo a fun interactive toy. I then introduced them to R2-D2, a droid I’ve owned for over two years.Â R2-D2 is much more advanced than Elmo.Â In addition to the features Elmo has, R2-D2 can also respond to voice commands, use an infrared sensor to find someone, and also tell someone “No”.Â The ladies seemed fascinated by the possibility of controlling something by simply using a voice command. Toni Adafin, a friend of mine who I’ve grown to know through our countless volunteer efforts, arrived just as I was wrapping up my discussion of R2-D2.Â I’d asked for just half an hour of her time, and she graciously provided over an hour. She talked about her life from where she grew up in Louisiana, and how she got to IBM. One of her funny stories included talking about her first winter here:Â how she had no idea how to getÂ through all the snow we receive here in Minnesota.Â In Louisiana, the entire town would shut down for the day when they got snow — but the snow would likely be gone after a day. That doesn’t happen in Minnesota. The most interesting aspect of Toni’s talk was how little she thought about race and gender as she went through college and worked at IBM.Â It wasn’t until much later, she said, that she started to think of it as a problem.Â However, knowing Toni, this doesn’t surprise me — Toni’s too forward looking and positive to get caught up in thoughts of the world being against her. Both the Girl Scouts and the leaders seemed very interested in talking with women engineers — in their experience, it sounds like successful women engineers are hard to come by, so they were excited by the opportunity to talk with Toni. Once Toni finished speaking (her prepared talk was about 30 minutes), we had a half hour or so of questions and answers.Â She was also kind enough to provide some Fruit Rollups and Gushers for everyone to enjoy. After a short break, we then took a quick tour of the IBM plant.Â I showed them some of the history of computing:Â ranging from abacuses to speedy calculators (a large version of a slide rule), as well as IBM devices from the early 20th century. I also showed them the first portable MRI machine that IBM created in conjunction with Mayo.Â This was an awesome invention. Strangely enough, the device that got the most attention was actually a punch clock, used to keep track of the hours someone worked at their job.Â I had to feel a bit old when I realized I’d used one when I was the same age as the Girl Scouts in attendance, as I worked at Clark’s Blueberry Farm in Ravenna one summer.Â It’s amazing sometimes to think of how far I’ve come — from picking blueberries to a engineering software and writing part-time. All of the young ladies were amazed at how far technology has progressed, as well as the thought that people actually used some of these systems.Â Some of them are now obsolete, while others still have some uses today.Â A version of the punch clock, for example, is still used (as far as I’m aware) at many manufacturing plants, stores, and farms today. I also showed off some of IBM’s history in Rochester — how 50 years ago, the land where IBM now stands was merely a corn field.Â Today, we have houses, stores, and strip malls.Â Yesterday’s rural landscapes have transformed into a booming city — amazing in some ways, though this certainly comes at a cost to wildlife.Â However, Rochester does seem to do an exceptional job at maintaining nature as well as providing economic opportunities. Once we finished the tour, it was off to the Plummer Building to explore the bell tower.Â This was an awesome opportunity–I’d never done anything like it. However, this blog post seems long enough, though I’ve only covered the first two hours.Â Part 2 (talking more about the bell tower, race exhibit, and the Girl Scouts programming robots) to come soon!